Pumpkin spice, wood-burning fires, hot cocoa and more usher in the warmth and serenity of the fall/winter season. And with any drop in temp and layering of clothes comes the craving for even more heartier, appetite-sustaining, comfort foods. 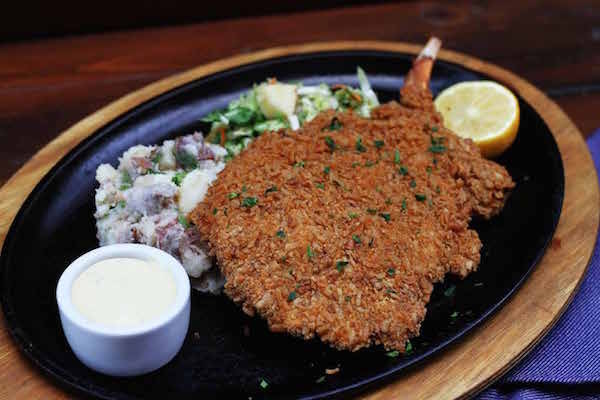 No stranger to the cooler temps, Lazy Dog Restaurant is an establishment birthed from fall/winter nostalgia and sweeps right into the DFW Metroplex to lead the Dallas dining pack in nourishing your palate this season. Inspired by the Rocky Mountain lifestyle, Lazy Dog Restaurant channels the decadence of a mountainous escape — complete with grand lodge-inspired furnishings, cozy fireplaces, and Aspen log adornments. Just fresh off of its Addison location’s one-year anniversary, Lazy Dog has announced future expansion plans to include a new Plano location opening November 23, 2016, and another location to open in Euless early 2017. Is it getting a little Plano in here? We think not. Lazy Dog will continue its scratch cooking concept and rustic meets contemporary feel with its newer restaurants. But lest we forget — new expansions, new locations, but even newer menus for your viewing and dining pleasure! 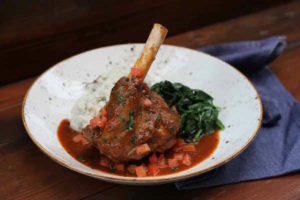 This hearty and tender “fall-off-the-bone” lamb is topped with red wine and thyme gravy and served over red skin potato mash and sautéed fresh baby spinach. A dish large enough to serve two, the lamb is tender and savory, and bound to give you the ultimate foodie comfort you’ve been craving during the cooler weather. Other Inspire N Style runner-up dishes include the Lamb Ragu with Noodles and the side of Roasted Vegetables. Yum! Our Editor may be a heel-bearing, fashion-forward, tote-carrying style-lista — but one thing this Southern gal loves with a hearty meal is her beer. 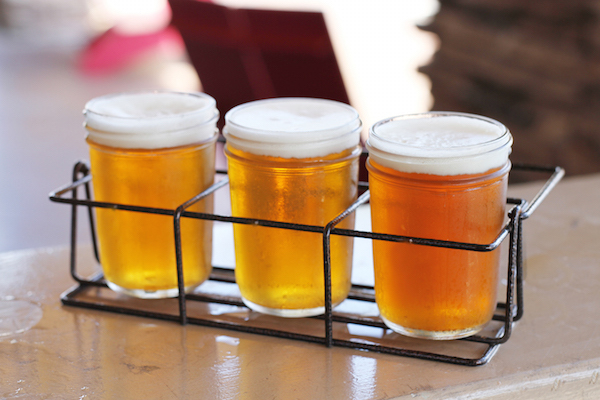 From light to dark to full to dry, the Lazy Dog Hop Head Sampler was the perfect pairing to the flavorful fall/winter dishes newly gracing the menu. Our motto: why have one when you can have three? Choose your favorite with a flight of three 8-ounce IPA’s (some local) to wash down what is already a mouth-watering feast. After a belly-busting meal and a pint or two of beer, it only seems fitting that a rich and sweetly satisfying dessert should cap the experience. 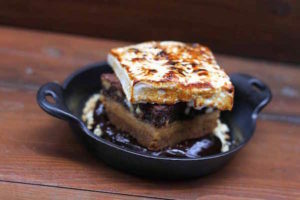 While our overall Lazy Dog dessert must-have is definitely its award-winning butter cake, the Simms Family S’More stole our heart, and maybe even our waistlines as we scooped the plate clean — down to the last peanut buttery, ooey gooey chocolatey drop. Coinciding seamlessly with the rustic, Rocky Mountain theme, this larger-than-life s’more is unlike anything you’ve seen or tasted around the campfire. A house favorite, this delectable dessert is made with layers of rich chocolate fudge, peanut butter, and a warm brownie over a graham cracker crust. Top this mountain of perfection with a giant fire-roasted housemade marshmallow and drizzle it with crushed peanuts, and now you’re prepped and prime for a blissful winter season. For the full standard menu, visit www.lazydogrestaurants.com. 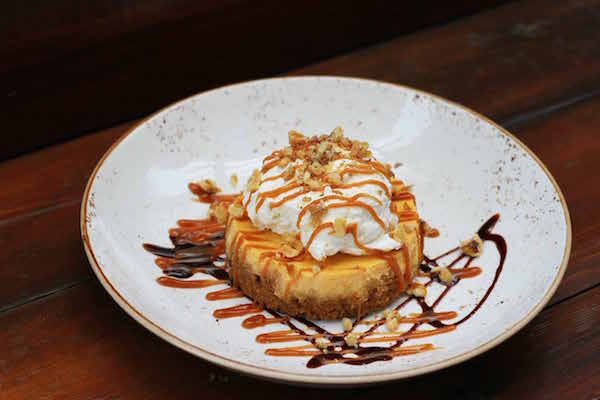 To peep the latest of Lazy Dog’s seasonal menu items, visit Lazy Dog Restaurant Addison at Village on the Parkway at 5100 Belt Line Rd., Suite 500, Addison, TX 75254. Photos Credit: Lazy Dog Restaurants.